OnePlus One fans rejoice, the startup Chinese firm has finally confirmed its Android Lollipop update release date. Talking on its own forum, OnePlus staffer Bradon H explained the rollout plans for Android 5.0 while also apologising for the delay. He also highlighted that users will get the choice of two different upgrades. First up is the straightforward over-the-air (OTA) update bumping the handset to the Lollipop variant of CM 12S (Cyanogen Mod), which "will be released on or before March 30." If you fancy changing things up you can opt for OnePlus' own Android ROM, dubbed OxygenOS, which will be available for download on or before March 27. There's no OTA option for OxygenOS - users will have to download and flash the operating system themselves, which is a bit more of a hassle. 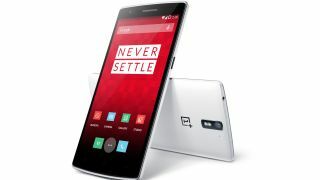 The One is the only handset currently offered by the firm, but we fully expect the OnePlus Two to arrive sometime this year, although a release date for this is still very much up in the air. Until then, you'll have to make do enjoying Lollipop on the still-very-good One.